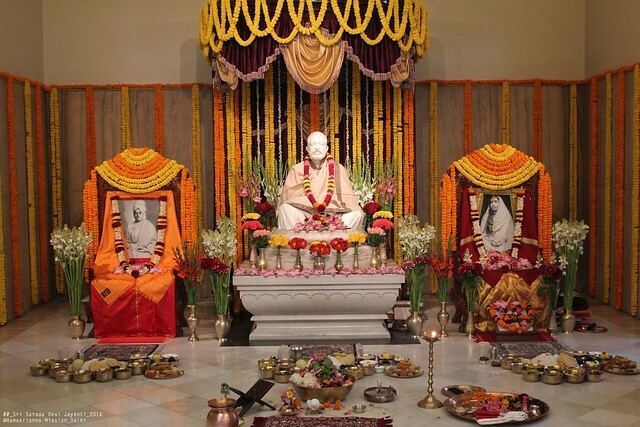 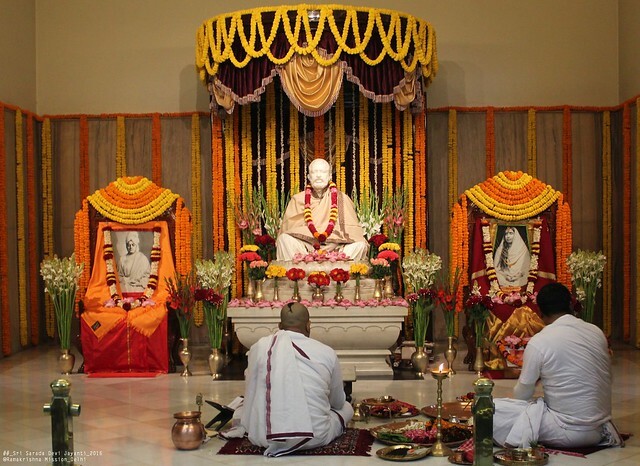 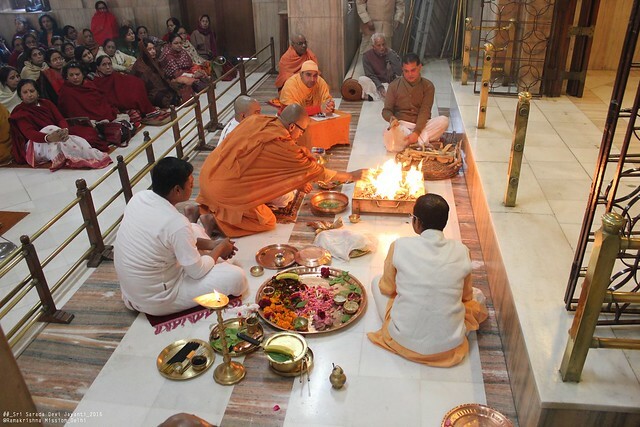 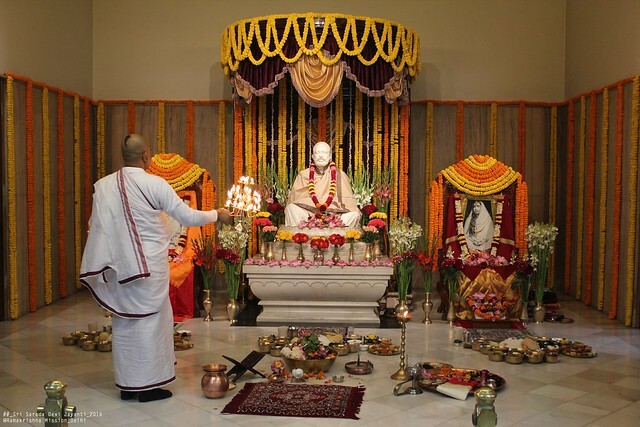 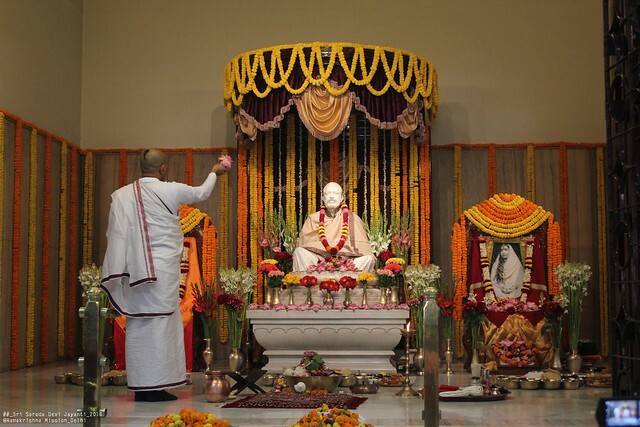 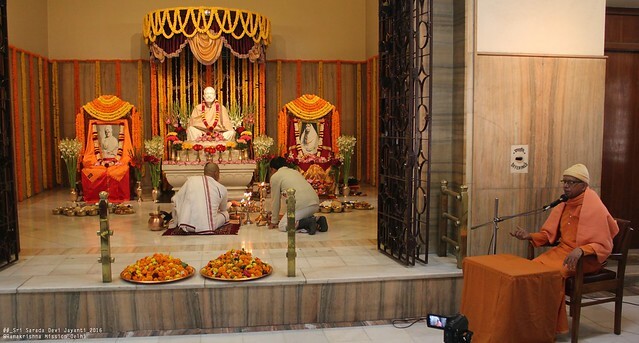 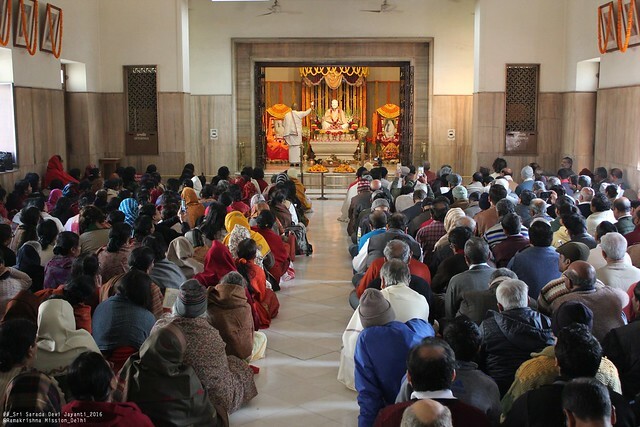 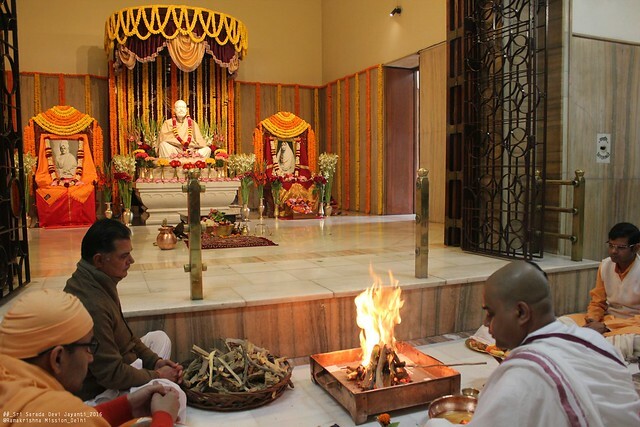 The Ramakrishna Mission, New Delhi, celebrated the Tithi Puja of Holy Mother Sri Sarada Devi on Tuesday, the 20th December 2016, in the Mission premises. 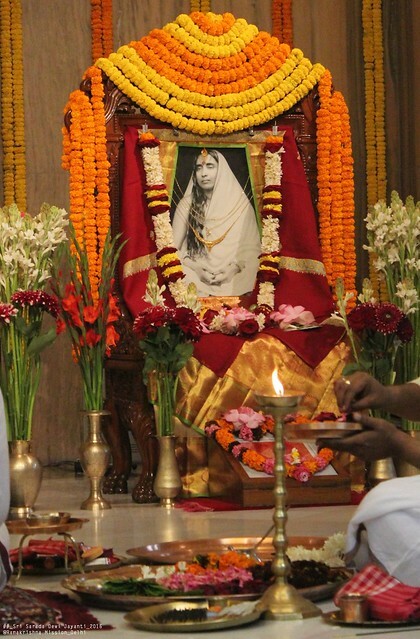 The Holy Mother’s Birthday is a very significant day for all devotees of Sri Sri Thakur, Ma and Swamiji. 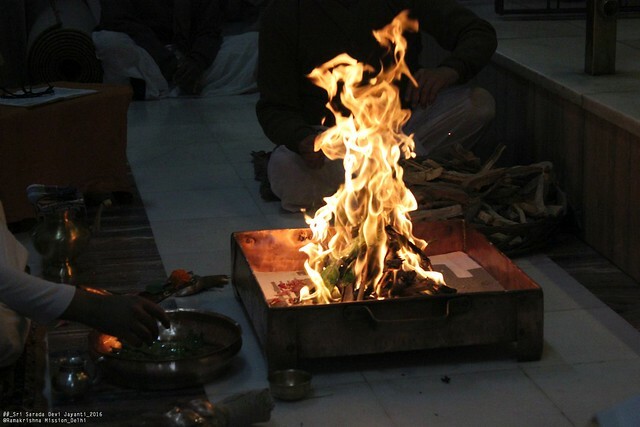 The day began with Mangalarati and Vedic Chanting in the Temple at 5.30 a.m. followed by Sarada Suprabhatam and reading from ‘Sarada Devi ki Vani’. 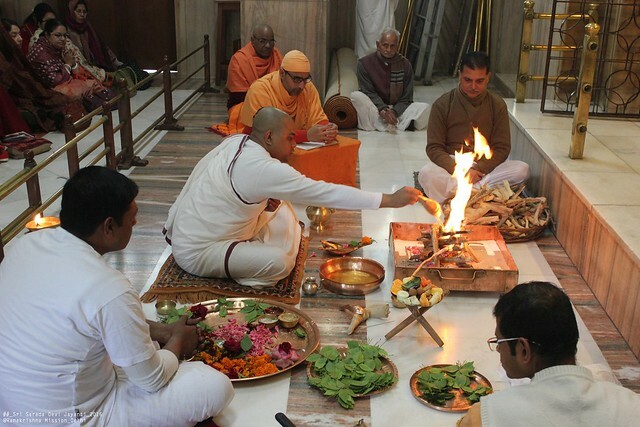 The Puja in the Temple was performed by Br. 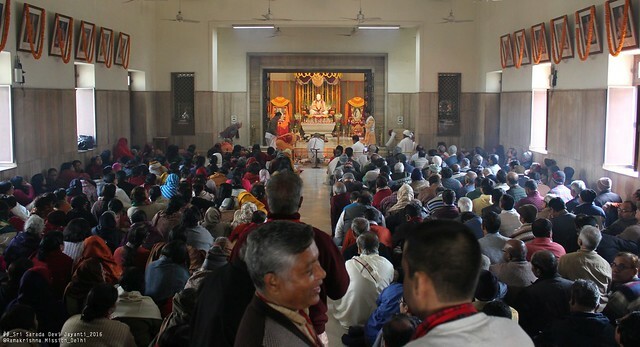 Madhurachaitanya. 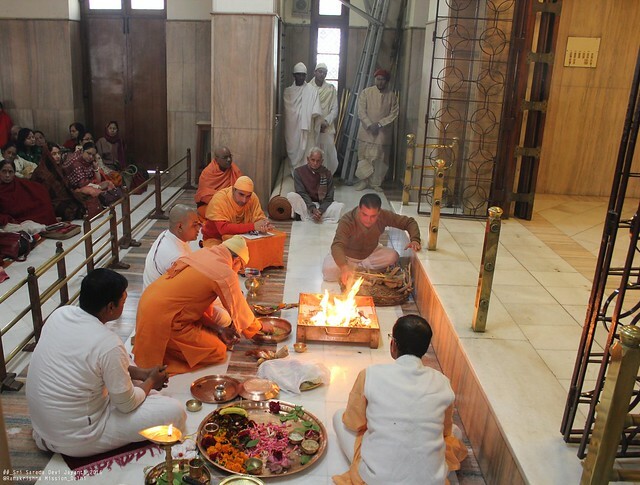 Simultaneously Chandi Path was done by Swami Swasamvedyanandaji (Janardhana Maharaj) at the Shayan Ghar of Sri Sri Thakur and Ma in the Temple. 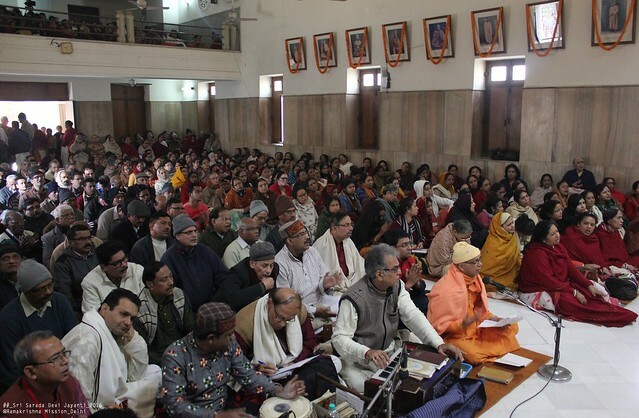 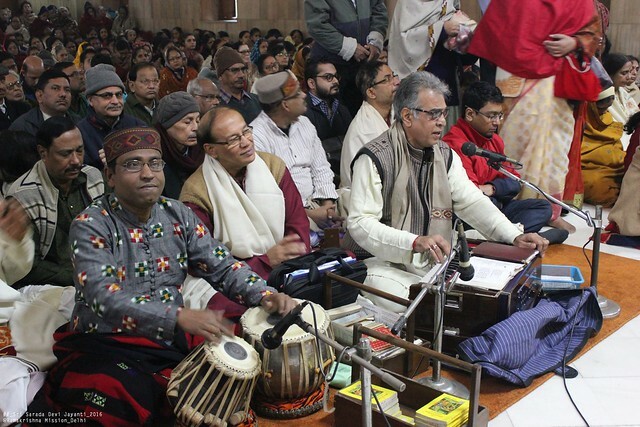 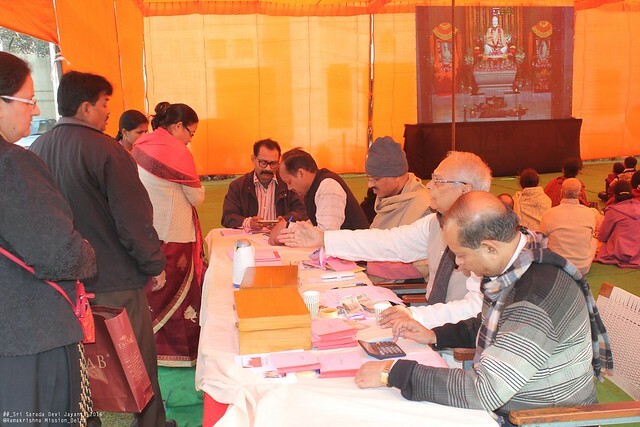 During the course of the Puja which started at 7.40 a.m. devotional songs were rendered. 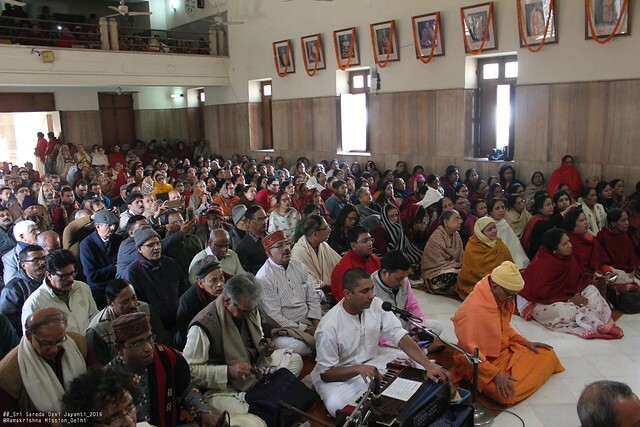 Later, Revered Secretary Maharaj also rendered a few devotional songs. 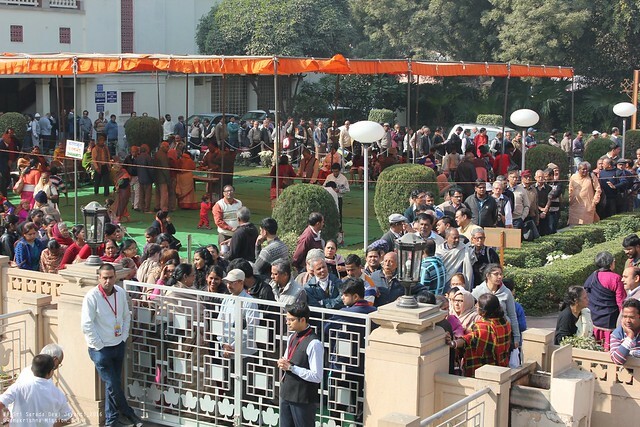 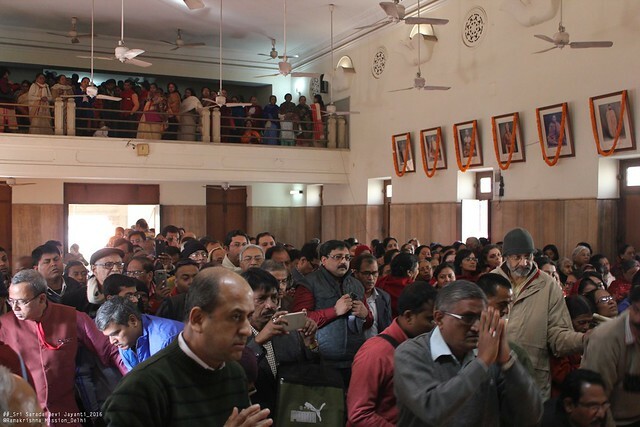 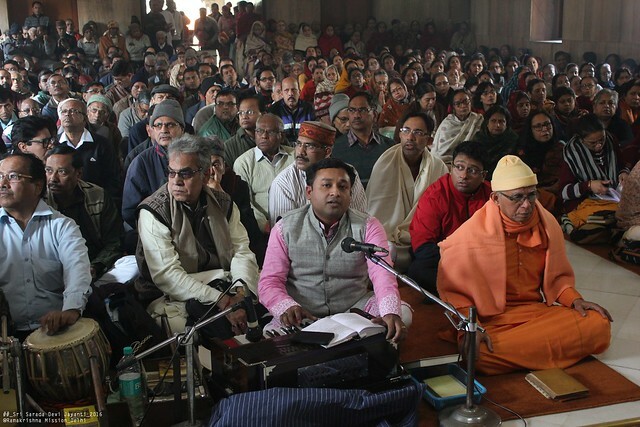 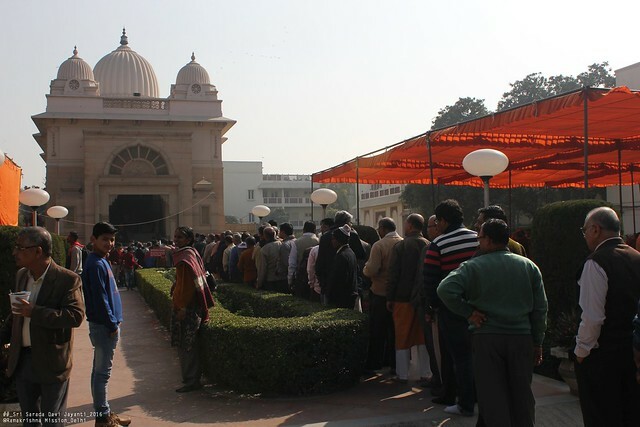 Large number of devotees participated in the puja celebration on this auspicious day. 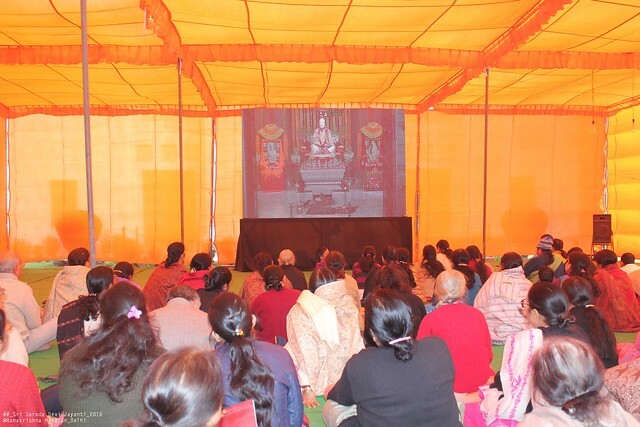 In the pandal erected on the right side of the lawn in front of the Temple , a giant LED screen was set up so that all those devotees who could not find place in the Temple could conveniently sit in the lawn and watch the puja performed in the Temple on that day. 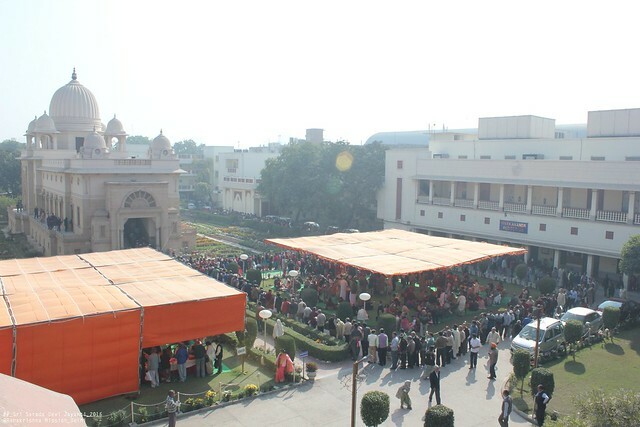 About 2200 attended the puja celebration in the morning and they were all given kichuri prasad, cut-fruits and sweets. 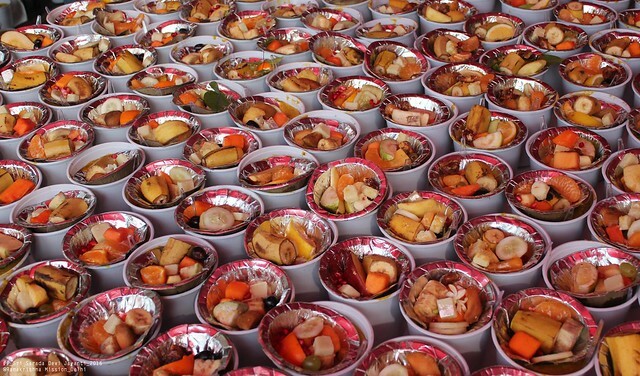 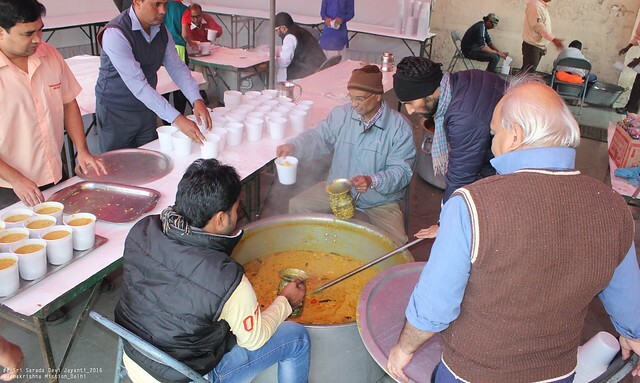 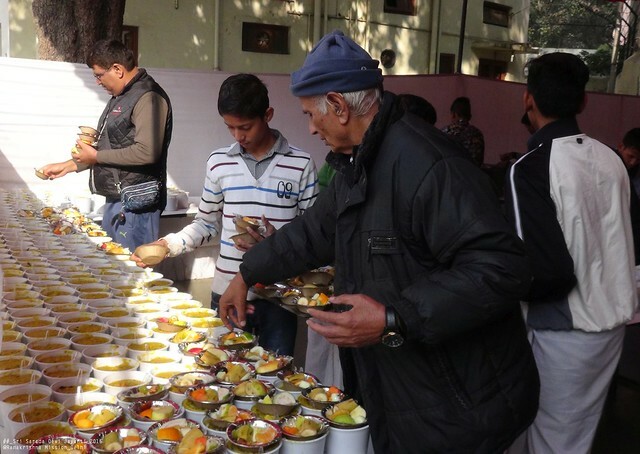 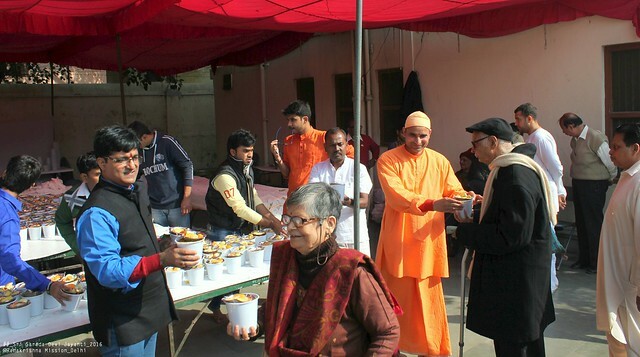 Later on, about 500 people were served kichuri prasad at the main gate outside.